I tweeted and I facebooked shared but I do not see my extra entries. This would be a fabulous resource for my home! Hey Liz! Thanks for sharing! I see that you have 4 entries so far. I’ll check the system to make sure it is working properly. 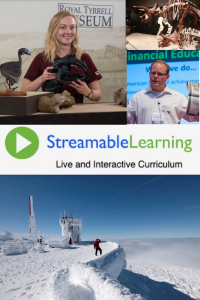 I appreciate you letting me know about this, and your excitement for Streamable Learning. It’s so cool!